All registrants for the 2nd Annual Tech Data Tampa Bay Walk For Wishes, presented by Allegiant Air, were automatically entered for a chance to win. 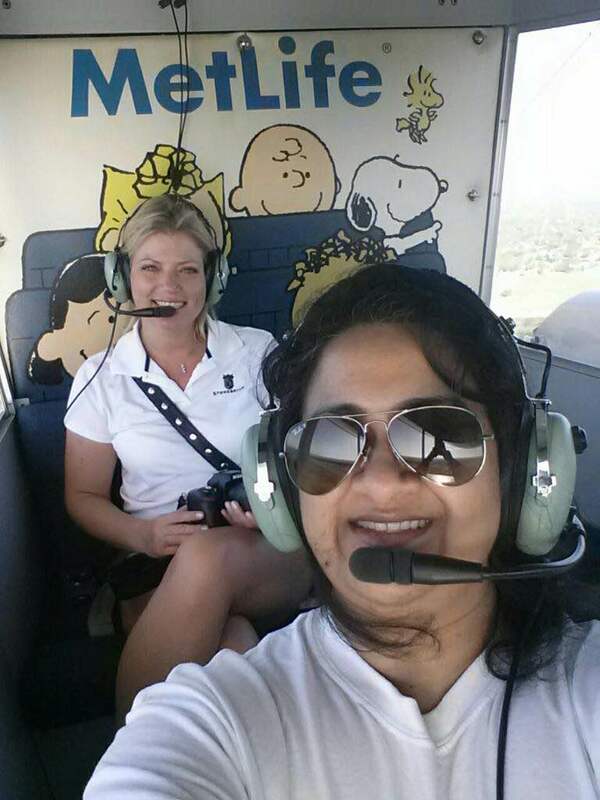 Last week, Walk For Wishes participant Mala Murthy was selected as the lucky winner, and this past Saturday, Ms. Murthy (pictured below, front) took to the skies over beautiful Tampa Bay. We had the opportunity to catch up with Ms. Murthy after her flight. What was your favorite part of riding in the blimp? The whole thing was great from start to finish! The team that handled the blimp ride was super friendly. I had a good time learning about the blimp and what they do, as well as the scenic views - just beautiful! Did any part of the experience surprise you? Actually, yes! Once the blimp is in the air, it appears to be a very simple thing to keep it going, but then again that’s coming from a person who doesn’t have to do it! What did you think of seeing Tampa Bay from a blimp’s perspective? It was great! It makes one understand when you see the view on TV what they are looking at from up in the sky. How was this experience different from anything you have experience before? It’s like a view from an airplane, but much better because the windows are open. You get the fresh air, the view, and get to enjoy a ride. 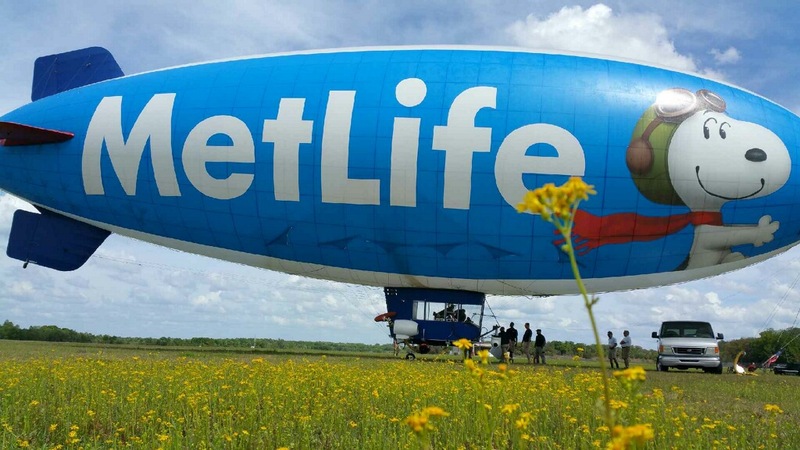 Would you recommend a blimp ride to your friends and family? Most definitely! It was a lot of fun! Had me smiling all day! Van Wagner Aerial Media and MetLife are looking forward to supporting Make-A-Wish Foundation again in the future. If you would like to know more about Make-A-Wish foundation, visit their website at wish.org. If you are in the Tampa Bay area, it is not too late to support the cause by signing up for the 2nd Annual Walk For Wishes event happening April 11th in downtown Tampa. Want more information? Ask us a question by clicking the button below!